Carol Danvers has blown the doors off the joint and we’re all the better for it! 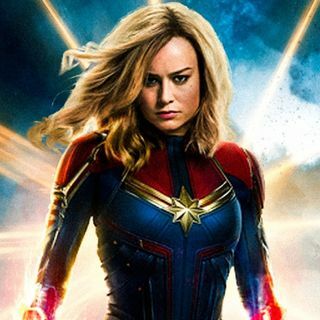 Jake + Mitch welcome Maite Molina-Muniz from ComicsVerse to dish on the high-velocity amazingness of MCU’s latest installment, CAPTAIN MARVEL. In true fierce fashion, Maite sheds light on Brie Larson’s platform and her work to celebrate women and people of color in the industry. But the biggest question looms: Does CM crack the MCU Top 5? Jake, Mitch & Maite share their lists ... See More after taking a deep-dive into the MySpace hole; gushing over Annette Bening and Nirvana; dissecting origin fatigue; and declaring the best Hulk of all-time. So much awesomeness packed into one episode, so give a listen!